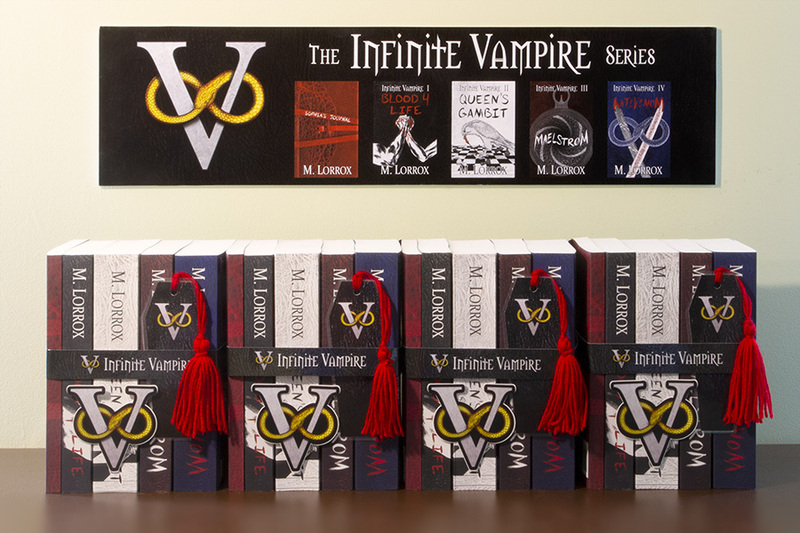 or you can buy a signed BOX SET of the entire series right here! 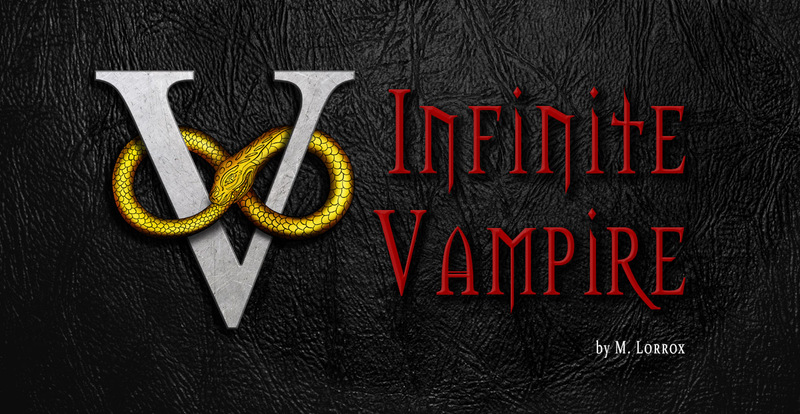 Each box set includes 5 signed books, a vinyl sticker of the Infinite Vampire logo: , and a hand-made bookmark! Each AUTOGRAPHED box set is $75 plus tax and shipping!